Present generation users are very careful about their fitness. Either the goal is to become humongous like Marvel superheroes or to maintain a trim frame, modern users have at least one fitness related app on their smartphone. It shows the importance of taking your fitness studio or fitness programme online. As users mostly prefer video contents, using website templates with space for video contents will be a wise choice. We use the latest HTML5 script to make our health/fitness templates, which has native support for video contents. So no matter what template you choose, it will support video contents. The solid code base even let you run online subscription programme for your fitness classes. 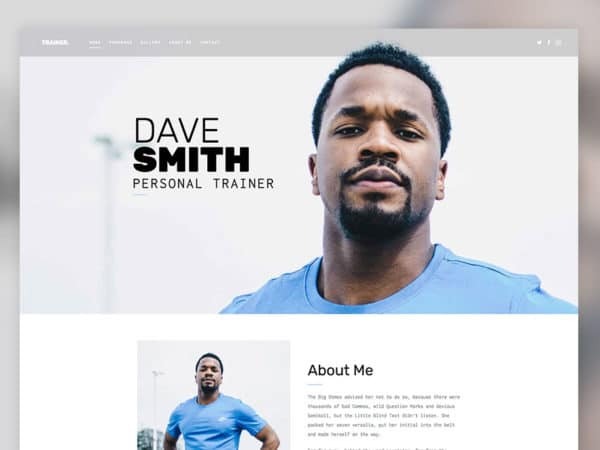 By spending a few extra hours of customizations, you can run an online fitness subscription programme in our website template. All templates are made flexible enough for future customizations. As your demands grow, you can easily add the features you want. Promotional elements are placed at the right spots to improve the conversion rate and will help you run a successful health/fitness website.